A special area of the Florida Keys National Marine Sanctuary is home to a resident group of bottlenose dolphins. It is also where many businesses conduct dolphin tours in a small geographic area. This heightened amount of human activity in a small area may cause unnecessary stress to the local population by disrupting their natural behaviors. Therefore, conservation agencies, including NOAA's Office of National Marine Sanctuaries and National Marine Fisheries Service, the Dolphin Ecology Project, and the Whale and Dolphin Conservation, as well as local businesses and members of the public, teamed up and developed a unique, multifaceted program encouraging responsible viewing of wild dolphins and recognizing businesses that participated. Before long, the program, called Dolphin SMART, was off to a great start! 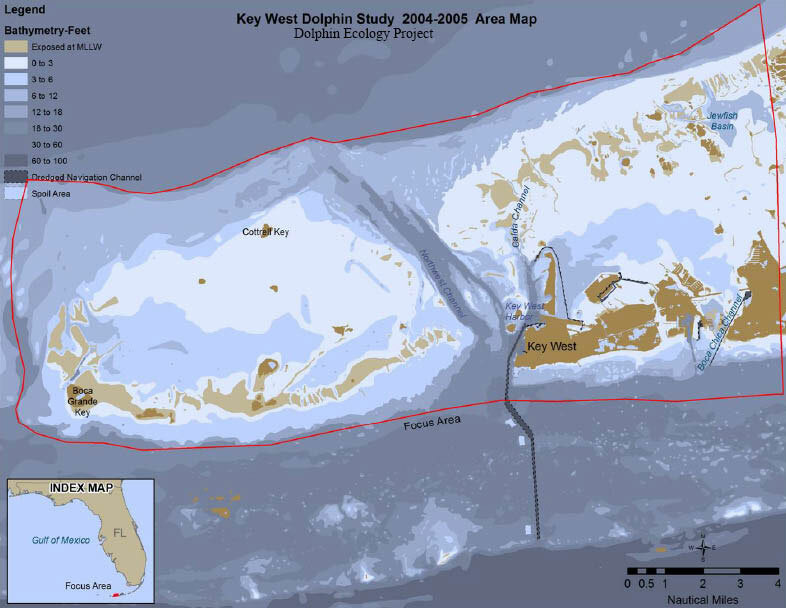 In 2007, the Dolphin SMART program was launched in the Florida Keys National Marine Sanctuary, with hope of expanding to other areas that have similar stressors on dolphins. Once such area is Orange Beach, Alabama, which hosted its first Dolphin SMART training in October 2008. We recognize there are many areas that would benefit from the Dolphin SMART program, so please watch Who's Dolphin SMART? for locations. For more information, please visit the Outreach Corner!